This weekend Saturday and Sunday BioWare will be having several streamers playing through chapter one of the new expansion Knights of the Fallen Empire. Each of the streamers has a time slot, that will be shown via the SWTOR Twitch channel. This will be another opportunity for players to see a small fragment of the new story content coming next month in the expansion. Be sure to tune in this weekend to see fellow gamers getting their chance to check out chapter one of the expansion. For more details follow the link about times, date and livestream link at the official SWTOR website. Okay, now this livestream is the main course that many have been waiting to see. The livestream is scheduled for September 30th, 2015 at 5 – 7pm EDT / 2 – 4 pm PDT. It will be going over various changes coming in the newest expansion like, user-interface updates and crafting changes. Players have been eager to get news about the crafting or crew skill changes. If you have been waiting to find out more of the details on upcoming changes in the expansion, this looks like the livestream for you. Be sure to read the date and times below or check out the SWTOR website post for more details. BioWare has posted the last two of its class story blogs. 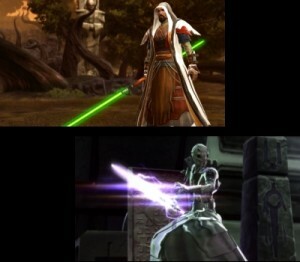 The Inquisitor and Jedi Consular were the third and fourth in the series. The story blogs highlight the three chapter arcs used in the two class stories. Each blog gives a brief overview, but be warned that both blogs contain potential spoilers. Personally, I would recommend those who have not played through the stories wait before reading the two posts. Like the previous story blogs, these are designed for the new players that will jump right into the new expansion utilizing the instant zero to level 60 option. 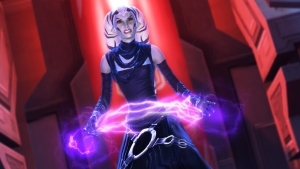 Be sure to bookmark the links for the Inquisitor and Jedi Consular to glance over after completing the class stories ingame. 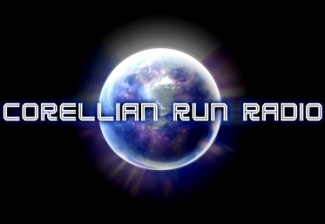 Corellian Run Radio would again like to thank all those who attended, watched, and followed our Twitch channel. Please remember to join Heather and Jason live every other Sunday on the Corellian Run Radio Twitch channel. If you have been attending the livestream or maybe you haven’t yet, either way mark your calendars to be there live. See you next episode. One feature I pretty consistently see requested is the ability to copy your keybindings from one character to another, so I’m happy to say with the release of 4.0 you’ll be able to do just that. When 4.0 launches you’ll notice a new tab in the preference window labeled “Keybinding Import/Export” from there you’ll be able to save out your current keybindings to a file which you can then load on another character. When you save the keybinding they’ll show up in a list which you can then select to preview and load those saved bindings. The list of keybindings you can import is shared across all your characters and saved locally on your computer. The keybindings are saved out to an XML format much like the UI Profiles are, so you’ll be able to share them with friends and such. The idea of being able to save and copy your keybindings has been a suggestion and rumor for a long time. Finally, the rumor appears to be reality when the new expansion goes live. 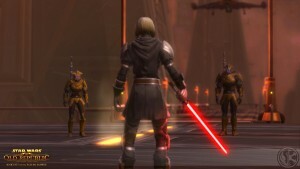 This could be a huge Quality of Life improvement for SWTOR. Not only will players be able to save and copy keybindings for all your characters, but you can also save your keybindings and share them with your friends. This will personally save me quite a bit of time when creating a new toon or even switching between specs. You can save a certain spec or even class specific keybindings and when you switch you would just pull up your new keybindings. Thanks BioWare for adding this QoL to the expansion. Tell us what you think of this new option coming in 4.0 in the comment section below. I wanted to let you know about what changes are coming to Commendations in Fallen Empire, this way you can plan accordingly. Simply put, only the names of some existing Commendations are changing. There are no conversion rates or anything this time around. All other Commendation names remain the same. Again, there are no conversion rates pre/post Fallen Empire. Thanks! It appears like the names of the current commendations will be changing. This is standard for things to change with commendation system whenever an expansion is released or level cap is changed. However, BioWare is NOT going to be converting comms. This is surely a welcome bit of news. Time to get collecting those commendations before the expansion goes live. Then, on September 30th, we will be having a Dev Stream to talk about some of the gameplay changes coming in Game Update 4.0. The details of this can be found at the start of this thread. Just in case two weeks in a row wasn’t enough, on October 8th, we will be streaming the Cosplay Contest from the New York Cantina Tour stop. This week we have another great fan created video. The video is more of a trailer rather than a music video. 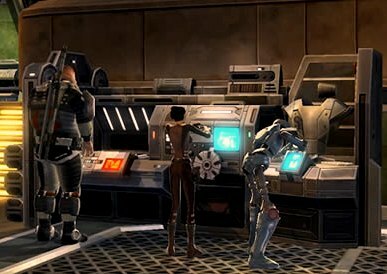 From this short trailer, the series appears to be a comedy set in the SWTOR universe. There are not many details, but it looks funny. I love the camera work and audio production in the trailer. It looks like this six part series will be something to keep an eye out for. Coming this December, look for HERF Squad. Follow YouTube channel, Herf Squad for more details.